This article and image were reposted from NPR. View original article here. The reasons people may skip vaccines such as the flu shot are many. They can include apathy or being too busy. They can include people believing that they won’t get sick or fearing vaccines. But recent research suggests another reason some may skip shots: fear of needles. And it’s a fear that may be preventable. “People who are afraid of needles are less likely to get vaccines, less likely to fully vaccinate their kids, less likely to give blood and less likely to get a flu shot,” says Dr. Amy Baxter, lead study author and clinical associate professor at Medical College of Georgia in Augusta. Her study found that teens were more likely to fear needles if they had received multiple vaccine injections at a single well-child visit when they were 4 to 6 years old. “Our findings suggest we risk training kids to avoid important vaccinations when they’re older,” she says. Skipping vaccines, she notes, endangers not only individuals’ health but also public health by putting herd immunity at risk. Herd immunity refers to the protection a highly vaccinated community provides to those who are too young, old or sick to get vaccinated. Baxter’s study is small, limited to a single private practice in Atlanta, though some past research has also highlighted the prevalence and potential consequences of needle fears. A study of more than 800 parents and 1,000 children in 2012, for example, found that nearly a quarter (24 percent) of the parents and well over half the children (63 percent) feared needles. Further, 7 percent of the parents and 8 percent of the children cited fear of needles as their primary reason for not getting recommended vaccines. If future research confirms Baxter’s findings, that may suggest a need to rethink how kids get their preschool vaccinations. That suggestion makes other pediatricians uneasy. “Spreading out vaccines leaves children vulnerable to vaccine-preventable diseases,” says Dr. Julie Boom, director of the Immunization Project at Texas Children’s Hospital in Houston. The study is too small to presume it applies to children across the U.S., she says, and the Centers for Disease Control and Prevention encourages combination injections that can condense the preschool vaccines into two shots, plus the flu vaccine. The CDC recommends five vaccines between ages 4 to 6: polio, varicella (chickenpox), the MMR (measles-mumps-rubella), DTaP (diphtheria-tetanus-pertussis) and the annual flu vaccine. 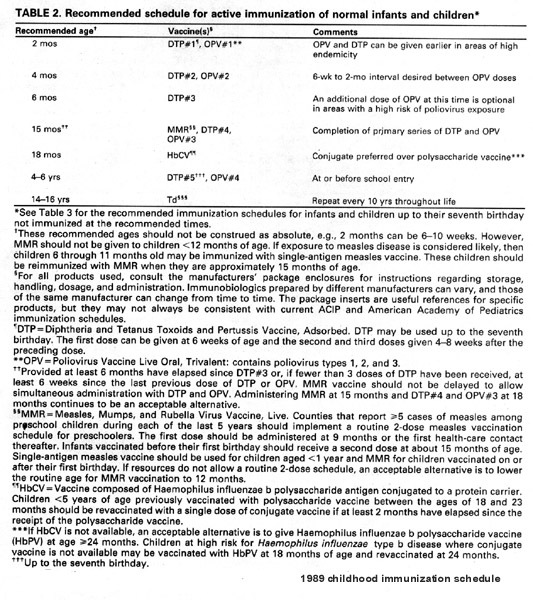 Children can theoretically get the first four in the MMR+varicella and DTaP-polio combination shots at one visit and the flu shot at a different visit. But not all providers carry these combinations, not all insurers (including public insurance sometimes) cover them, and the MMRV has a higher risk of adverse events than two separate shots. Baxter points out that getting preschool shots during multiple visits still adheres to the CDC schedule, which offers a two-year window in which to get them. “Getting one or two injections on multiple visits may actually build resilience,” she says, though no research on that exists yet. Research does show, however, that needle phobia has more than tripled over the past 30 years. During that same period, the number of CDC-recommended vaccine doses also tripled, protecting today’s children against twice as many diseases as those born in the 1970s and 1980s. Baxter wondered if the trends were linked. Her study used a scale of 0-100 (least to most distress) to assess needle fear among 117 preteens, ages 10 to 12, who received preschool vaccinations between ages of 4 and 6. She divided preteens’ needle phobia intensity into quartiles and compared it to their total number of childhood vaccine injections, ages at each dose, total shots at ages 4 to 6 and total shots per single preschool well-visit. Needle phobia increased as the total shots received in one preschool well-visit increased, she found. Each additional injection preschoolers got at one time tripled their odds of having a strong fear of needles five years later (a self-reported score of at least 83). Yet preteens’ needle fear showed no relationship with total vaccination shots since birth or their total number between ages 4 to 6. The only factor that made a difference was how many they got at one time — and only when they were preschoolers. Those who got four or five shots per visit as infants had no greater fear of needles than their peers, nor did those who got all their preschool shots but during multiple visits between 4 and 6 years old. Only those who got three or more shots at one preschool visit had greater needle phobia. Baxter expects some resistance and cognitive dissonance from colleagues, who already invest much energy explaining to parents why spacing out vaccines in infancy — against CDC recommendations — is risky. Research shows that spacing out vaccines reduces the likelihood parents will return for all the doses, leaving children under-immunized, points out Dr. Michelle Berlin, co-director of the Oregon Health & Science University’s Center for Women’s Health. Still, Baxter worries about long-term consequences if medical and public health professionals don’t take the risk of needle phobia seriously, especially when solutions exist that don’t involve changing or disregarding the CDC schedule. Long-term solutions could involve pain-free vaccine options, such as patches and microneedles, and administering vaccines at schools and pharmacies to reduce the burden on pediatricians and “uncouple kids’ fear from a visit to the doctor,” she says. Insurance companies and Medicaid could cover more combination vaccines and multiple visits for vaccines in the meantime, and research should explore whether better pain management could reduce needle fear. “We need to take responsibility for sending teenagers out into the world secretly afraid of needles and health care,” Baxter says. Her study also suggested one way that fear is already hindering public health — potentially influencing whether teens get the HPV vaccine. The CDC recommends that adolescents get their first HPV vaccine dose at age 11-12 and a second dose six months later. (Teens who start the series at age 15 or older still need a third dose.) When Baxter compared needle phobia to timing of HPV vaccination, she found nearly twice as many preteens without needle phobia had gotten their first HPV shot as those with the most needle phobia. The results did not reach statistical significance since so few had begun the HPV vaccination series: eight preteens (27 percent) with the most needle phobia compared to 14 preteens (48 percent) with the least phobia. But those results suggest at least the need to explore this possibility further, Baxter argues. Despite gradual improvements in HPV vaccination coverage and research supporting the vaccine’s safety and effectiveness, its use still lags substantially behind other adolescent vaccines. That puts many of today’s adolescents at risk for HPV-caused cancers, such as cervical and throat cancers. 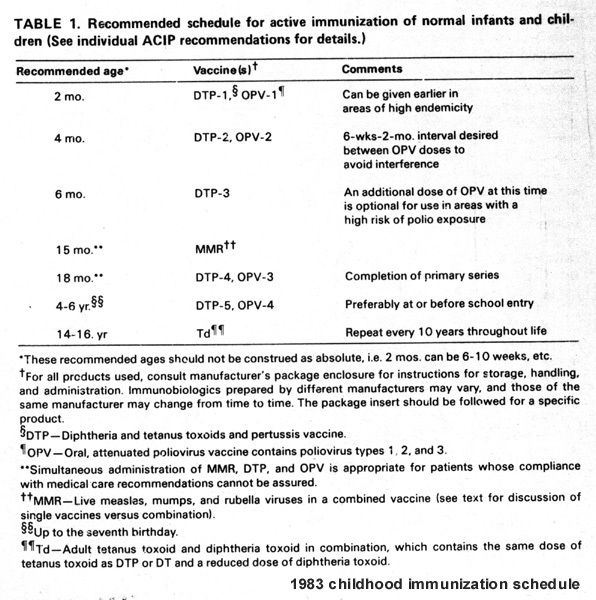 Baxter emphasizes the importance of following the current CDC schedule, which is based on all available evidence on vaccines and diseases to date. She just wants physicians to recognize the potential risks of practices, such as multiple preschool immunizations in one visit, that may trigger a serious fear of needles.